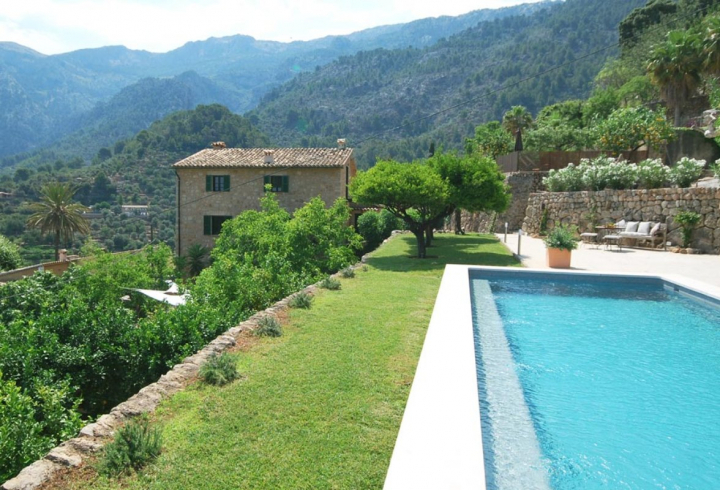 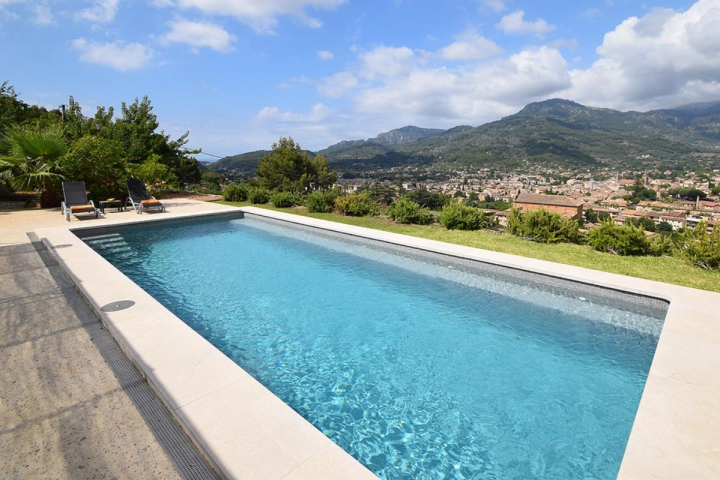 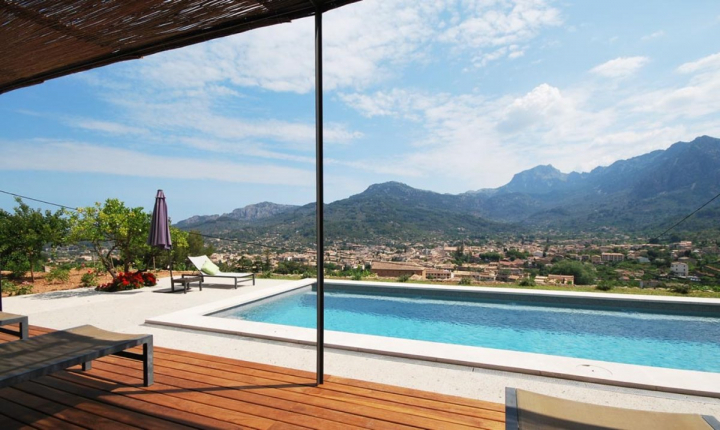 Amazing Mallorcan finca on a hillside above Sóller with fantastic views. 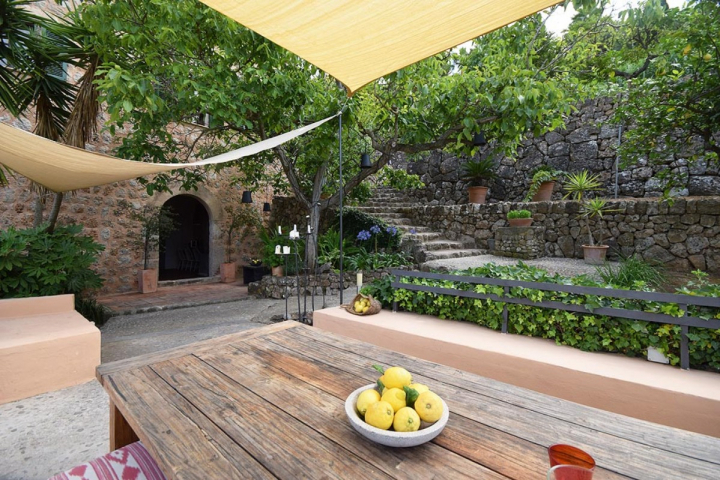 The finca is divided on three floors and can be used as desired as one or two residential units. 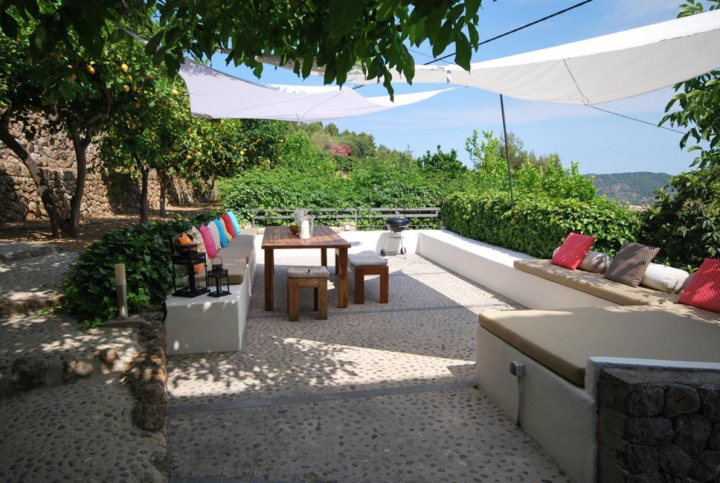 On the ground floor is the spacious living and dining area with access to the outdoor terrace, garden and pool. 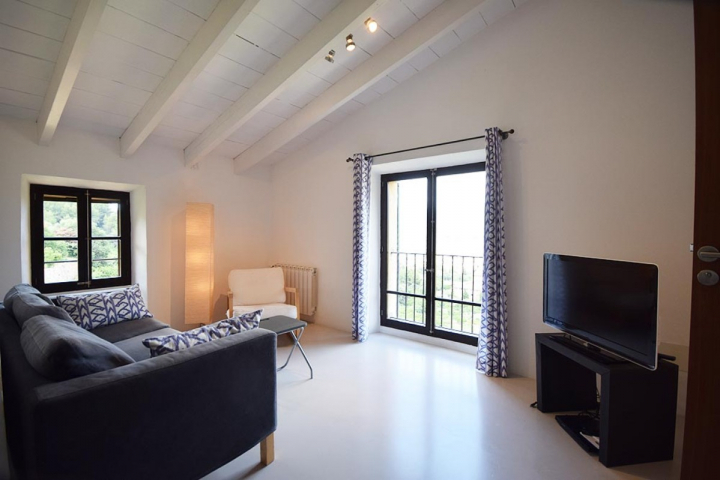 On a mezzanine floor to the first floor, there is a bedroom with shower room and access to the private terrace, as well as a fireplace room which can be used as a living area or dining room as it is directly connected to the kitchen as well. 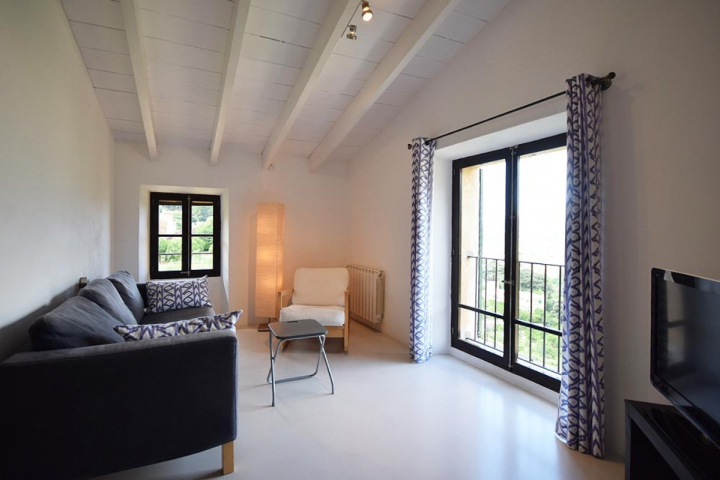 On the middle floor are two double bedrooms with bathroom (one of the rooms with direct access to the terrace), a suite with double bedroom with shower room and separate toilet, and an extra living area with small kitchenette and sofa. 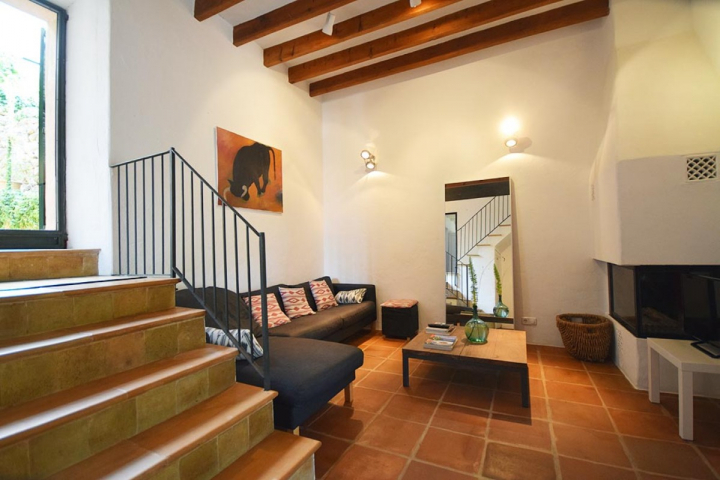 In the attic there are two more double bedrooms, bathroom and living area with TV / stereo and kitchen with dining room. 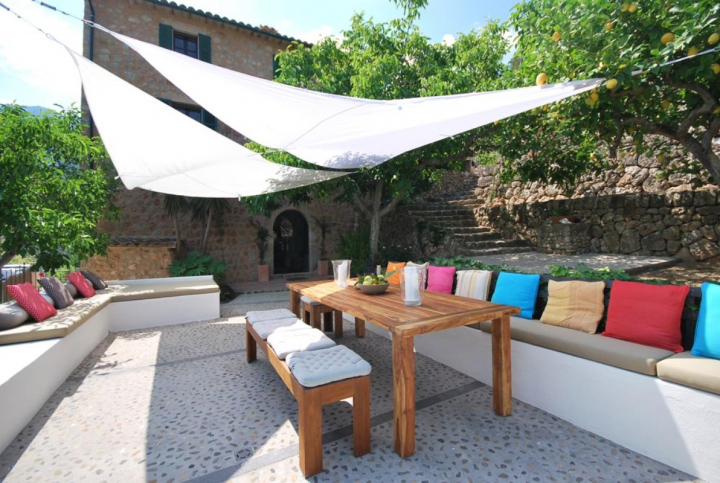 The attic can be separated as a separate unit from the main house and has its own entrance and private terrace with access to the pool of the finca. 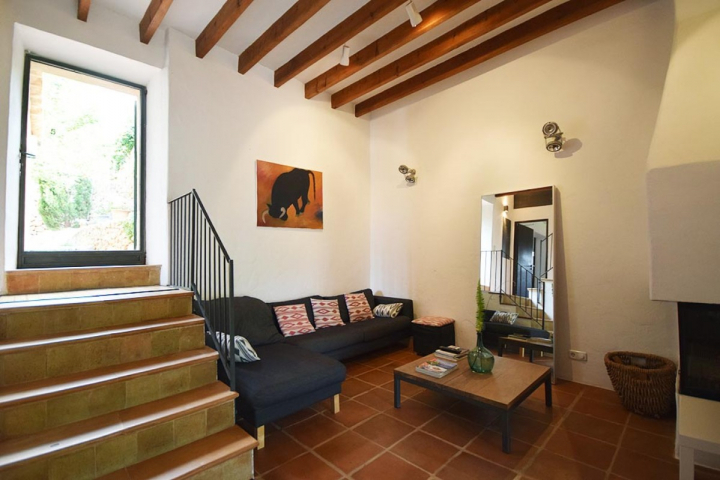 The house is equipped with oil central heating and fireplace for the winter. 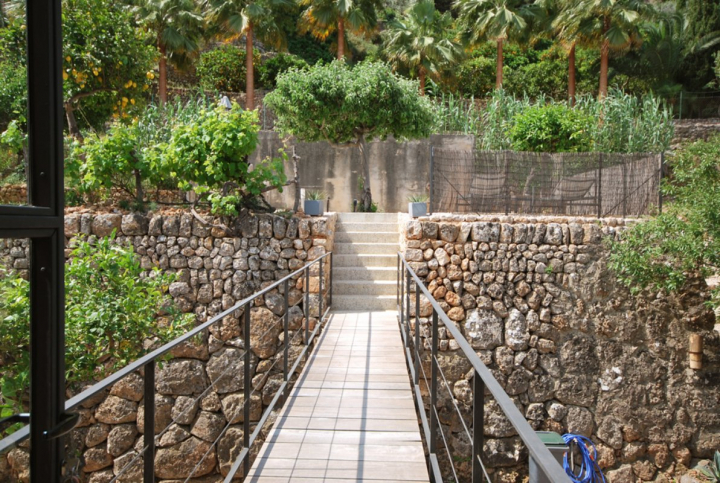 The garden is very private and not visible from neighboring houses. 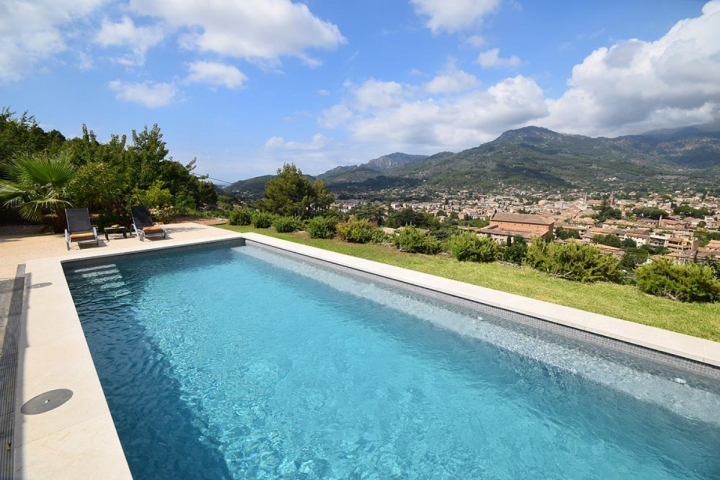 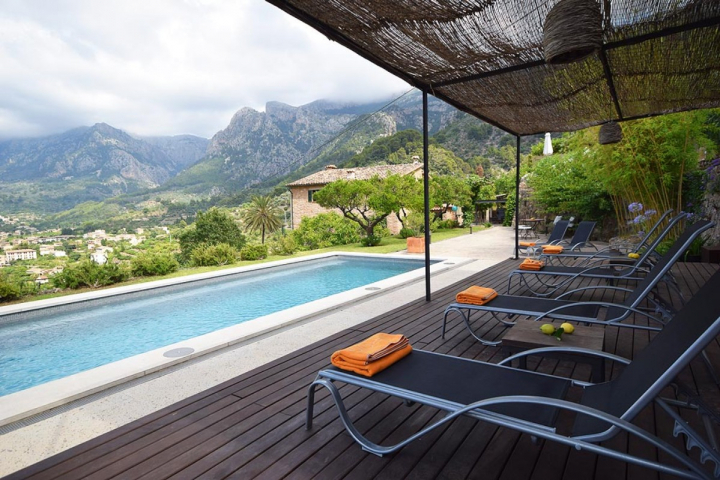 The terraces such as the covered chill out area, BBQ - and sitting area or the pool area with outdoor pool offer unobstructed views of the surrounding mountains to the port of Port de Sóller. 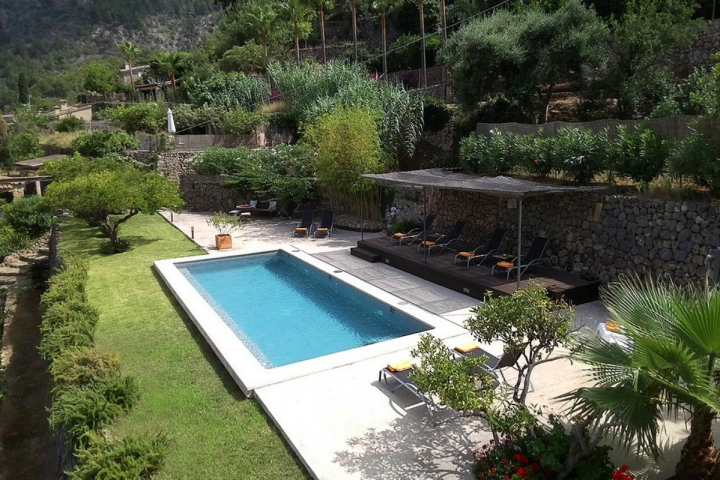 Its a pleasure to enjoy time here in this finca. 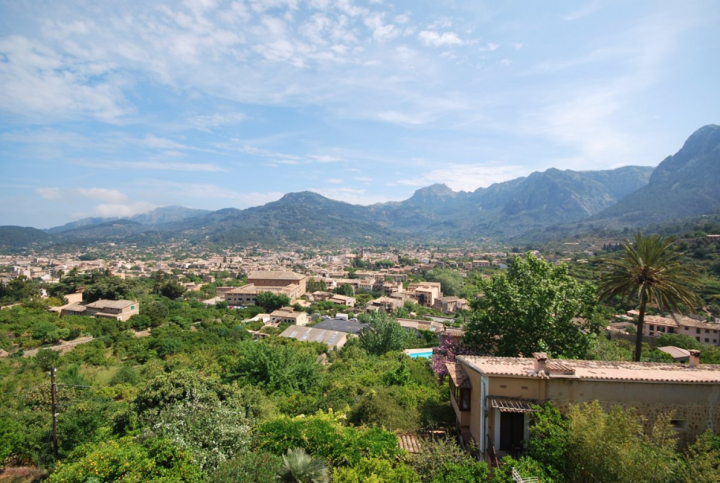 In a few minutes by car to the village and there are parking spaces for two cars at the house. 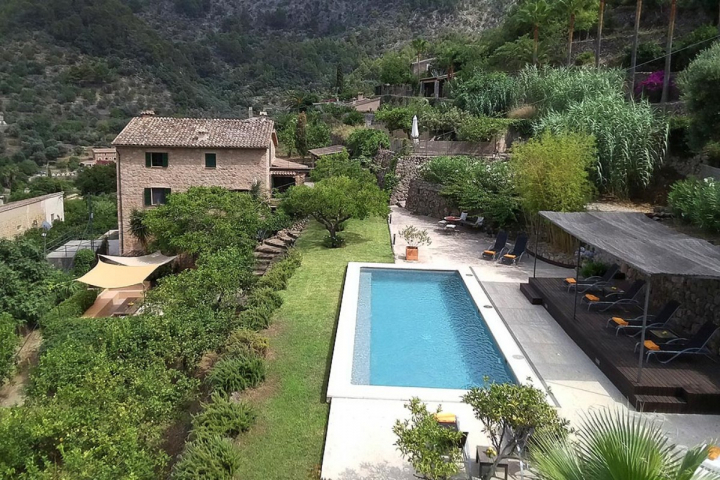 A walk of 15 minutes to the main square of Sóller is through small quaint side streets a great change from the car. 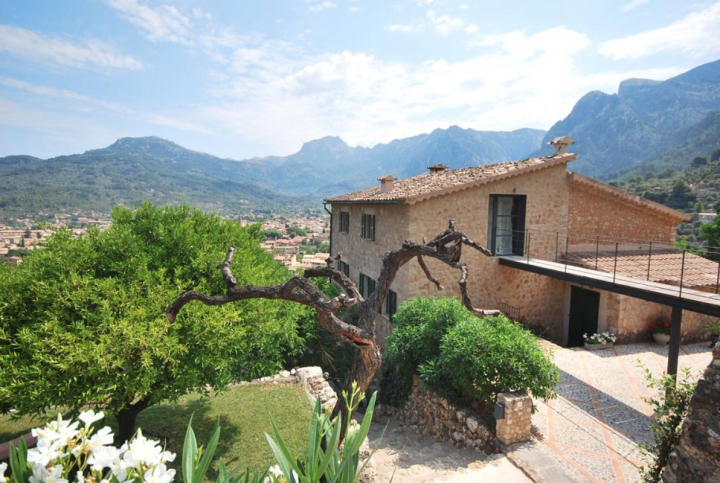 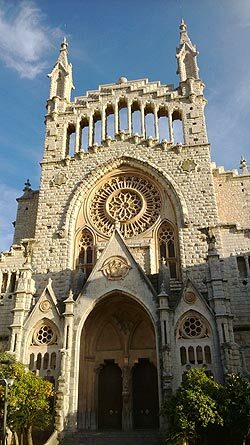 Worth to mention that this property has the touristic licence.